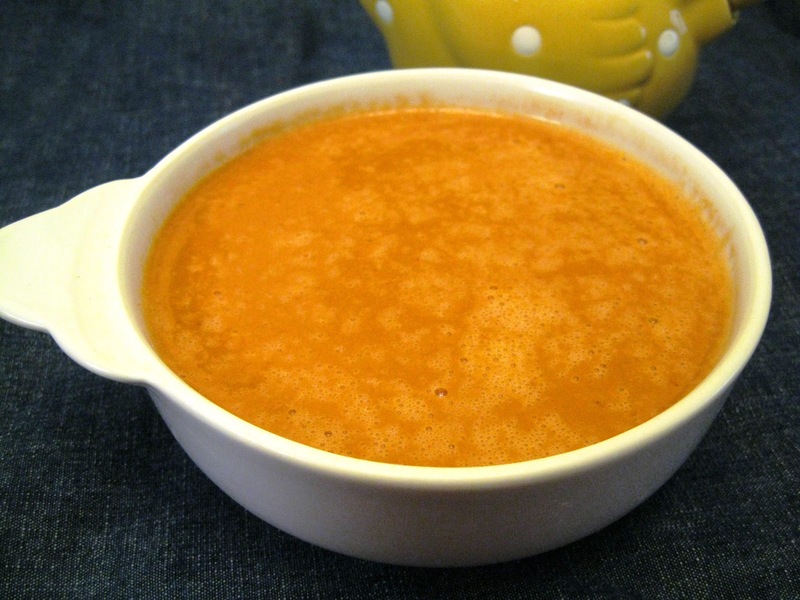 Don't bother spending extra money from your food budget buying cans of tomato soup. Making your own version only requires 3 ingredients that I promise you already have sitting in your pantry. Your version will only cost you pennies to make! Wisk all ingredients in sauce pan over medium heat till well blended and heated through. Serve immediately. 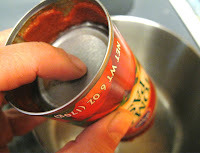 Jan's tip: a quick and easy way to open a can of tomato paste is to open both ends, using a traditional can opener. Carefully remove one lid. Using your fingers press on the other lid, pushing the tomato paste out the open end into the saucepan. Carefully remove the lid from the saucepan once it pushes through the open end.! This looks great, but I am wondering about sugar? I know that canned tomato soup is usually pretty sweet, which gives it that yummy flavor (and i guess a lot of calories, too). Do you ever add sugar? This is a great tip, thanks! I don't add sugar personally, but that is because my husband has type 1 (Juvenile) diabetes, and so I never add extra sugar to my tomato sauces, even though it's great for cutting the acidity. I don't even add artificial sweetenersto my cooking, a whole lot either. It's sad I have to go out and buy sugar and sweeteners to do any baking because I never have it around! Will you let me know how much you use if you do add it so "normal" people will know how much to add? okay this looks good and opening cans of cream soup will be so much easier with this too! You will never scrape or jiggle the soup out of those cans again!